Your Tampa DUI Lawyer Ready to Fight For You! If you are under the age of 21, and you are arrested in the Tampa area for a violation of the DUI Statute 316.193, there are additional factors and penalties that may drastically affect your case. The experienced attorneys of Finebloom, Haenel & Higgins can assist you in protecting your rights! Call us now at 813-200-4421 and let us tell you how we can protect you or your child!! What if I am a minor (under 18)? All DUI cases are handled in the criminal traffic system in County Court. You do not appear in juvenile court for a DUI. This means even if you are under 18, a DUI will give you an adult criminal record. If you are over the age of 21, there are strict rules about the probable cause an officer must have in order to detain you for a DUI investigation. This rule is known as the rule of “probable cause.” To start a DUI investigation for a person over 21, the officer must believe that the person has been drinking to the point that their faculties are impaired. or who has any alcohol level!! This violation is neither a traffic infraction nor a criminal offense, nor does being detained under this statute constitute an arrest. This means an officer can have probable cause to detain a person under 21 for a DUI investigation if they think they have had any alcohol whatsoever. It doesn’t matter if the amount that you drank did not cause you to be impaired. Florida has a Zero Tolerance law for drivers under 21. This means that any driver under 21 that is stopped by law enforcement and has a blood alcohol level of .02 or higher will automatically have their Florida driver’s license suspended for 6 months. If you are over 21 you must have an alcohol level of .08 to incur the suspension. The .02 limit really means that you cannot have a single drink and drive. Again, it does not matter that you may not be impaired. What are the different penalties if I am under 21? If you are convicted of DUI and you are under 21, the sanctions are the same. However, the administrative penalties taken through the DMV are much more severe. The First Suspension for Persons Under the Age of 21 With An Alcohol Level .02 or above is 6 months. This means if you have even one drink your license can be suspended for 6 months. You do not need to have the .08 limit to incur the suspension like that of a person over the age of 21. The Second or Subsequent Suspensions for a blow over .02 are 1 year. The First Suspension for Refusal to Submit to Breath Test if you are under 21 is 1 year. The Second or Subsequent Suspensions for Refusal is18 months. The suspension is effective immediately. If the breath or blood alcohol level is .05 or higher the stays in effect until you complete a substance abuse evaluation and the accompanying course. If I am convicted of DUI and I am under the age of 21, do I still have to complete probation? Yes, if you are convicted of DUI and you are under 21, you still have the same probation conditions as that of a person over 21. For a first DUI you will have to pay a minimum of a $500 fine and complete a minimum of 50 community service hours. You will have to complete DUI school and any recommended substance abuse treatment. You will also have to make a monthly report to probation. If you are under 18, you will still have to report to the local county probation office. You will NOT have a juvenile probation officer. This means if you are under 18 you will be held to the same standards as that of an adult. Will a DUI affect school or my military plans? YES!! A DUI conviction can affect whether or not your college application is accepted. It can also affect your financial aid. If you play sports it can mean suspension from the team. Depending on your age, and the branch of the service you wish to enroll in, it may prevent your recruiter from considering your application. If you or your child has been arrested for a DUI charge, it is CRITICAL to obtain an aggressive attorney immediately!! The penalties and consequences for a person under 21 are much more severe. Do not take a chance with your future. 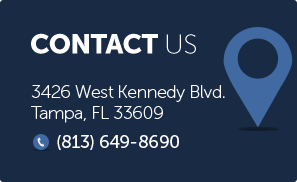 Contact the competent and caring attorneys of Finebloom, Haenel & Higgins today at 813-200-4421. Let us work for you! !